All over the world the joint or spliff is used as a simple and quick way to enjoy cannabis. Different regions have different names for this classic way to smoke. In Canada and the United States it is more often referred as a joint, though in the United Kingdom the term spliff is more popular. A distinction is made between the terms joint and spliff for some, though the terms are also used interchangeably. 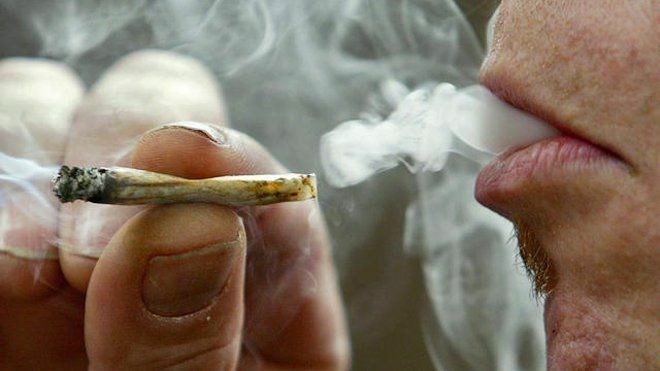 A joint refers to cannabis that is rolled in a smoking paper, whereas the term spliff is used to refer to cannabis and tobacco mixed together and rolled. For those who are already tobacco users, a spliff can be an excellent option. It makes smoking in public easier, as well as helping your cannabis last longer. Although it is more enjoyable for some, a spliff rolled with tobacco can come with increased health risks due to the nicotine and other additives in the tobacco. To begin rolling your spliff you will need: a rolling paper (or a few in case of mistakes), a small piece of cardboard to create a crutch (a piece of the package of papers is commonly used), your mix of choice, and a grinder. When grinding your material be sure not to over grind. Your goal should be an even, fluffy consistency so the cannabis can bind to itself and roll up nicely. The next step is to prepare your paper. Some smokers like to prepare their paper by rolling it back and forth in their fingers to eliminate the original crease. This makes rolling the spliff easier, because the paper has already begun to take a cylinder shape, but it is not necessary. Once you have ground up your material, and prepared your paper, you are ready to roll a fat spliff. With the adhesive strip facing upwards and away from you, hold the paper in between your thumb and forefinger of one hand, and place your mix evenly along the bottom of the paper, leaving a bit of space at one end. After you have placed the desired amount, bring the bottom portion of the paper to cover the weed and slowly roll the spliff back and forth using your thumbs and forefingers. You will feel the mix form into a cylinder, when this happens the spliff is ready to seal. Dampen the adhesive strip and roll the spliff up to meet it, sealing the spliff. Once sealed, twist closed one end of your spliff. You could stop right here and smoke it if you like, but if you want to add a crutch keep on reading. If some of your mix has fallen out, you can poke it back down the open end to make sure it is firmly packed with the rest of your spliff. Some smokers roll with the crutch in a first, but this can make rolling your spliff more difficult, as you are trying to keep it from falling out as you roll. Adding the crutch after rolling allows for a better fit, and an easier rolling process. To add your crutch roll up a piece of cardboard approximately 1.5cm by 3cm, fit it in the space you have left in your spliff, and allow it to unravel once inside to fit firmly against the inside of the paper. Neither your spliff nor crutch should be too tight, as this will make smoking it more difficult. A consistency similar to that of a cigarette is ideal, and learning to get reach that point comes with practice. Now that your spliff is finished, you can light up and enjoy!